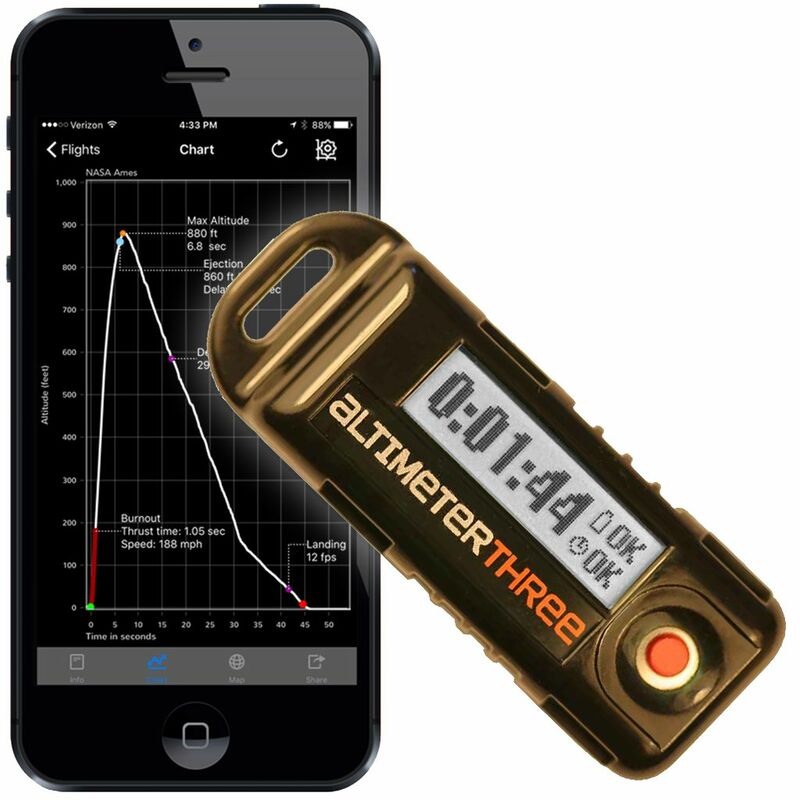 This altimeter is ideal for collecting and sharing flight data. With the release of the AltimeterThree mobile app for Apple and Android, AltimeterThree now performs the AltimeterTwo flight analyses for rocket flights, including existing flights, and labels them on a graph. It also adds a second descent-rate label on the graph, so users can note the descent rate before and after dual deployment. 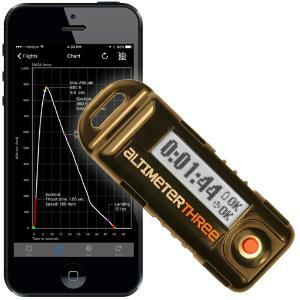 If GPS is enabled on the phone, the AltimeterThree can save and map the location of each flight. For use with iPhone 6 and 6 Plus, iPhone 5; 5s; and 5c, iPhone 4 and 4s,iPad Air and Air 2, iPad mini; mini 2 and mini 3, iPad with Retina display, iPad (3rd and 4th generation), and iPad 2. It works with most devices that run Android 4.0.4 and higher. Please download the free app to test compatibility before buying. It can be recharged from any USB port. The device weighs 10.5 g, 0.37 oz. 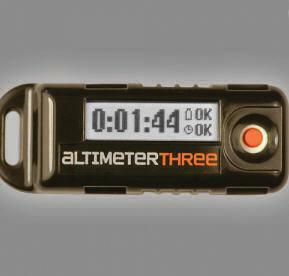 Ordering information: Altimeter Three includes a recharging cable.